The Reading Room rotation consists mainly of Christian books (both doctrinal and historical), books relevant to my personal history, historical fiction, classic fiction, and children’s books. All else is tier 2 stuff that I may or not get around to depending on reviews and research. Of late, I have spent a fair amount of time going back over what I thought I knew about my place of origin, and black American culture worth embracing (circa 1900). This brings me to my extensive study of Zora Neale Hurston. Because I heard a lot about her as I grew up, I thought I knew a lot about her. My gathering of her writings was prompted mainly by the fact that reading her books offers me insight into my hometown. I then stumbled into learning about her rather than simply remembering odd facts from elementary school. 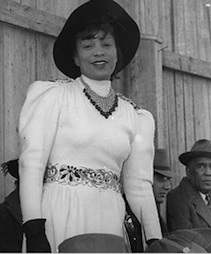 Hurston, widely embraced after her death while largely ignored most of her life, was in many ways a larger than life persona. Even the black feminist writers of the 80’s and 90’s, who revived her from obscurity, have a love/confused relationship with her. Her politics, views on relationships, and unwillingness to engage in racial victim-hood put her at odds with much of what they embrace. Sometimes I feel discriminated against, but it does not make me angry. It merely astonishes me. How can any deny themselves the pleasure of my company? It is beyond me. It has been enlightening and fun to read and learn about this woman whose re-emergence put my hometown on the map. If not for a few profound differences, I’d say Hurston was my kind of woman. 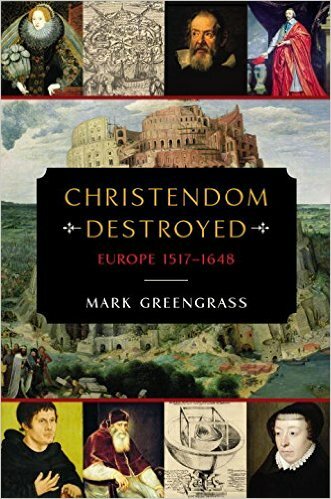 Christendom Destroyed: Europe 1517-1648, by Mark Greengrass. published November 2014. First a confession: I didn’t read the entire book. I was slogging through the first 5 chapters while switching back and forth to Chesterton’s Orthodoxy to re-engage my mind. I am a history buff, and as such I thought I would find this nearly 700 page book more interesting than I did. Or, that was the case until I decided to skip over Greengrass’ exploration of human migration, human replenishment, and the effects of climate change on the way these things took shape. There were some interesting portions as he delved into the lifestyle and political landscape that laid the framework for the 1517 religious upheaval which gripped and forever changed Christendom. One of the marks of true reading is pushing through those parts of a tome that may be a little less exciting for the purpose of understanding the whole. I couldn’t go the distance with this author however, so after the first 5 chapters, I decided to just skip to the good part, at the halfway point, the tenth Chapter. Chapter 10, titled Schism, describes and dissects the fallout of the Reformation. From this point I was completely engaged and found this book a wealth of historical information, well presented. Most interesting to note was the fact that much of what is attribute to Luther’s intent seems far radical than his original intent, although there did come a point in his lifetime when he was resigned to the reality that there could be no reunification of the Church he originally set out to reform. In later chapters he gets into the ensuing conflicts between Protestants and the Catholic church (some of which were violent), and living with the newly formed religious divisions. He also explores the encroaching influence of Islam as it grew in Ottoman lands to the east. Also contributing to Christendom’s demise was the separation of the close ties between the RCC and the heads of state. Charles V was the last Roman emperor to be crowned by a pope in 1530. This book is, for all intents and purposes, a European history work. Even the use of the word Christendom is clearly referencing a distinct geographical region at a precise period of time in history rather than the universal church as we often use the term. There is no doubt however, and the author makes it clear, the cultural stage and atmosphere had been set for Luther’s protest and attempts at reform. Luther was, if you will, the straw that broke the camel’s back. It was a heavy read for me at points, despite my being an enthusiastic student of history. All that said, I liked it well enough. I think it would have been a better book if didn’t read like a textbook at several points. 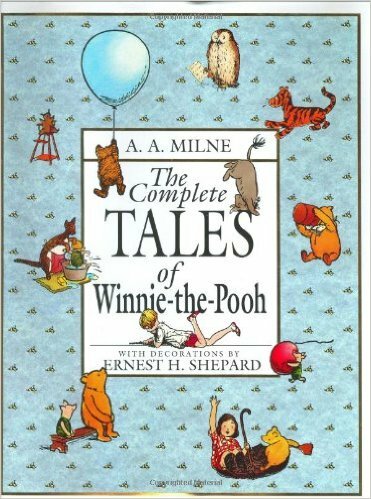 The Complete Tales of Winnie-the-Pooh, by A.A. Milne. Originally published in 1926. There’s really no need to drag this one out. We’re big Winnie-the-Pooh fans here in the reading room, so when one of our girls pulled this entire volume off the library shelf, it served as our nightly read for the next 3 weeks. There were tales here that we had not read before, such as when Tigger was introduced to the Hundred Acre Wood. Tales we hadn’t read in a few years were fresh and new. The language of the Hundred Acre Wood and Pooh Corner is endlessly amusing, such as when Christopher Robin organizes a hilarious “expotition” to the North Pole, or when a search is “organdized” for one of Rabbit’s countless friends and relations. Oh yes, I almost forgot the attempt to search for and trap the ever elusive Heffalump, which lands Pooh and Piglet in trouble- yet again. And what would the stories be without Pooh’s inspired rhymes, songs, and hums? This book offered a fun bed time reading experience and at 7 and 9 years old respectively, our youngest haven’t outgrown it. I even find myself laughing at the stories. When you outgrow the fun and humor of Winnie-the-Pooh, you’re too grown up. Inclusion in “Stuff I’ve Read Around the Web” does not necessarily indicate total agreement with the article linked. The criteria for the list is simply that the author seems to have genuinely thought about the topic. My opinion about the articles listed can be found on the Delicious page by clicking on the link at the top of the list. Thank you to the reader who offered me the opportunity to clear that up. Real Music Interlude: Fall is Here Edition. My latest read is a big book, one that also requires thinking as you read it. I’m resisting the urge to hurry through it simply because I have a stack a half mile high waiting for me. 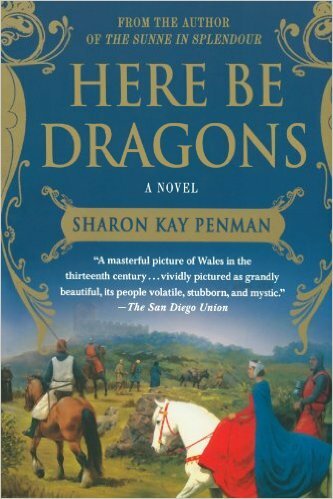 There are so many books I am looking forward to reading for various reasons, but I need to finish this one first. Since it will be a bit longer before the next review, I figured some real music is in order. We are finding that a good way to have home school lessons with a cohesive thread running throughout is by using literature. Using books that young children will enjoy, which also contain overlapping subject and educational topics, helps keep things interesting and learning fun. We’ve used books in this way over the first quarter and it has changed my perspective on the idea of unit studies. It started out as an exercise primarily for our 7-year-old’s class, but as it turns out, the 9-year-old has gotten a lot out of it as well. Here is one example of a children’s picture book we used as a unit study. 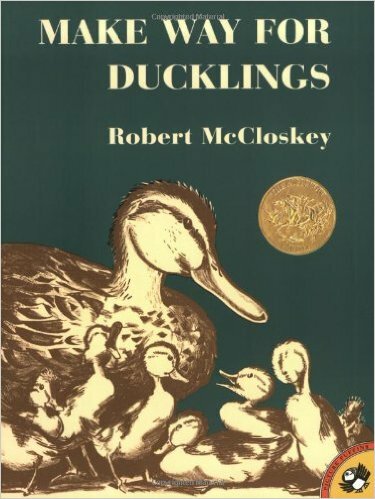 Make Way for Ducklings, by Robert McCloskey. This children’s book is a Caldecott Medal winner, as I tend to gravitate toward books where the art is as integral to the story as the words on the page. Time period: The artwork as well as the occupations of the secondary characters offered discussion of the time period covered in the book, the 1940’s. The children noticed many things that are different from life today, beginning with how well dressed the people were when they went to the park. Science: Study of mallard ducks, their habitats, diets, family formations, and life cycle. Vocabulary: Older books almost always offer opportunity for expanding young children’s vocabulary. Molt, dither, beckoned, and responsibility were among the vocabulary words we explored as we read Make Way for Ducklings. Geography and beginning map skills: Set in the historic city of Boston, the book offered several well known landmarks and city building as we follow the ducklings flight through the city to find their new home. As a rule, I believe only classic, timeless children’s books are worth the effort of putting together a unit study. At the elementary level, they are very useful so long as you choose good books.